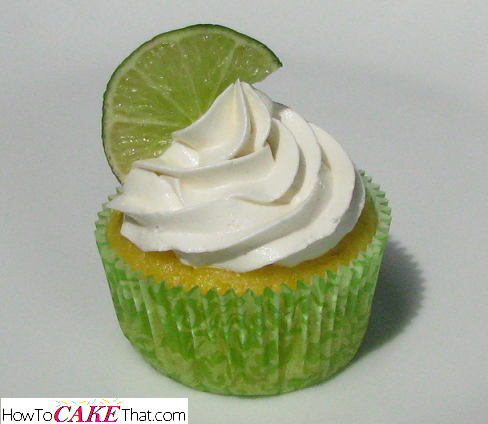 This whipped key lime buttercream is light, fluffy, with a light tangy taste and not-too-sweet mousse-like texture! It's absolutely delicious on key lime cake filled with key lime curd! Yum!! 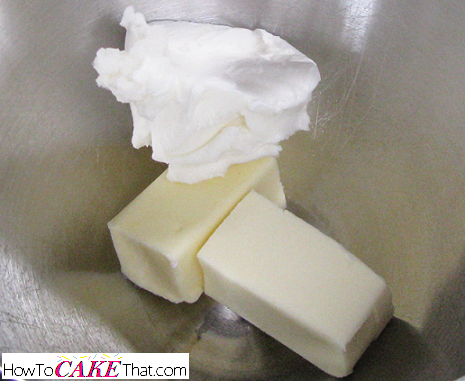 Whipped buttercream is a cooked recipe, so a small or medium saucepan is needed. 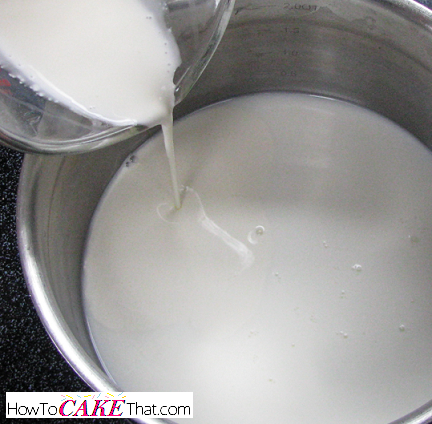 To begin, pour 6 ounces of whole milk into the saucepan. Next, add 2 ounces of heavy cream. Add 7 ounces of granulated sugar. 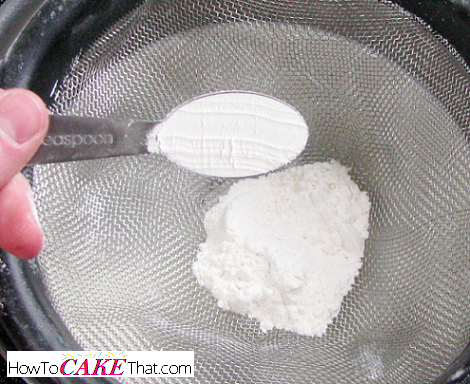 Next, sift two tablespoons of all purpose flour into the saucepan. Begin cooking ingredients on medium-high heat and whisk mixture constantly to keep from burning. Bring mixture to a boil. 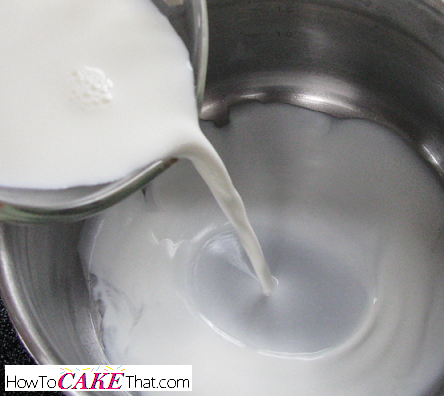 Boil mixture until it is thick like custard. 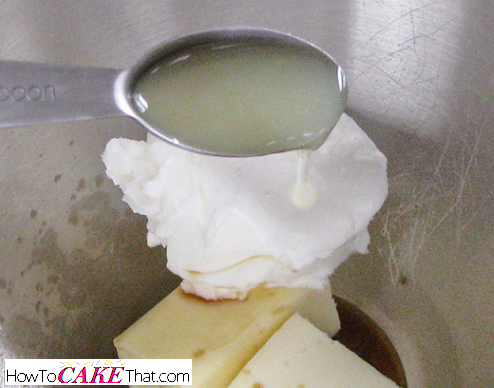 Ensure custard is thick enough to leave a good coating on a wooden spoon or rubber spatula. 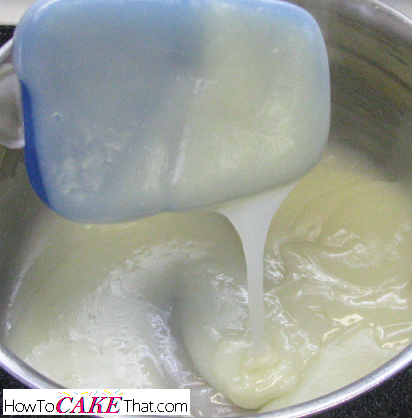 Remove custard from heat and allow to cool to room temperature. Next, place 1/2 stick of unsalted butter (2 ounces), 1/2 stick of salted butter (2 ounces), and 1/2 cup high ratio shortening into the bowl of a stand mixer (or other bowl suitable for hand mixer, if using). All ingredients need to be room temperature. 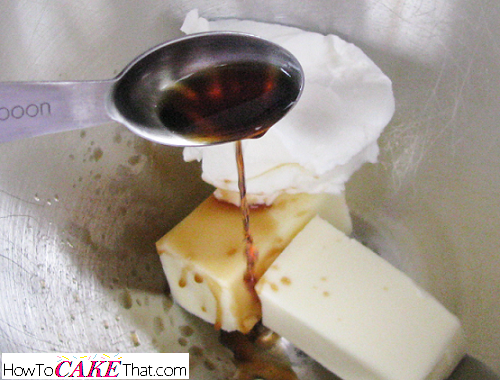 Next, add 1 teaspoon of vanilla extract to the mixing bowl. Add 4 teaspoons of 100% natural key lime juice. I'm using Nellie and Joe's 100% natural bottled key lime juice. 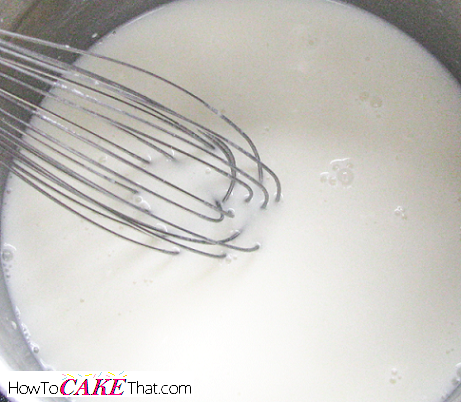 Mix butter mixture on medium-high speed with either the paddle or whisk attachment until ingredients are well blended and butter is fluffy. Next, add the room temperature custard to the mixing bowl. 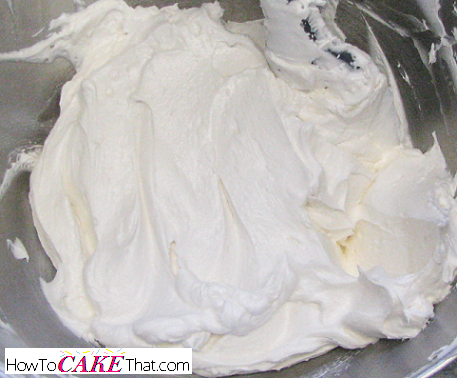 Whip buttercream mixture on highest speed until mixture is light and fluffy. 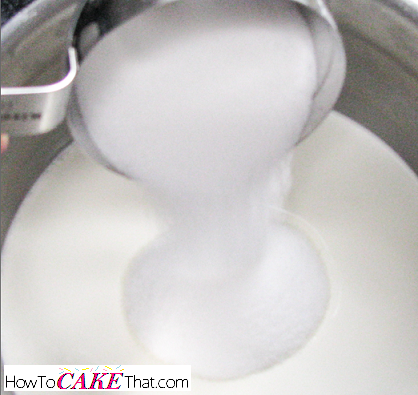 Be sure to stop mixer halfway through and scrape down the sides of the bowl. If using a whisk attachment, this should take about 3 minutes. 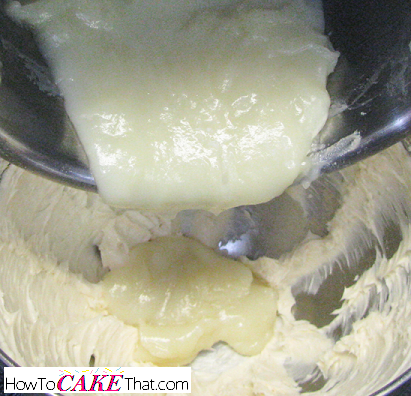 If using the paddle attachment, this frosting should be ready at about 5 minutes. 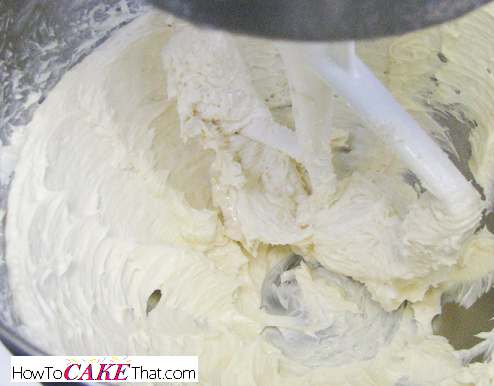 And that's how you make delicious whipped key lime buttercream! Keep refrigerated for up to 4 days, or freeze for 3 months. And because this frosting needs to be refrigerated, and because it is so light and fluffy, it will not hold up well under heavy fondant. Though I recommend keeping this frosting refrigerated, it is safe to let it sit out for several hours. I hope you have enjoyed this recipe! God bless!